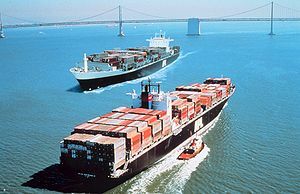 Container ships in world trade. Despite Brexit and rising pressure for protectionism across the West, ”anyone who thinks globalization is dead misreads what’s really happening,” writes Michael Schuman in Bloomberg News. Read Mr. Schuman’s essay by hitting this link.